Action Figure Insider » THE FOUR HORSEMEN #SDCC15 EXCLUSIVE RAVENS GO UP FOR PRE-ORDER TODAY!! THE FOUR HORSEMEN #SDCC15 EXCLUSIVE RAVENS GO UP FOR PRE-ORDER TODAY!! 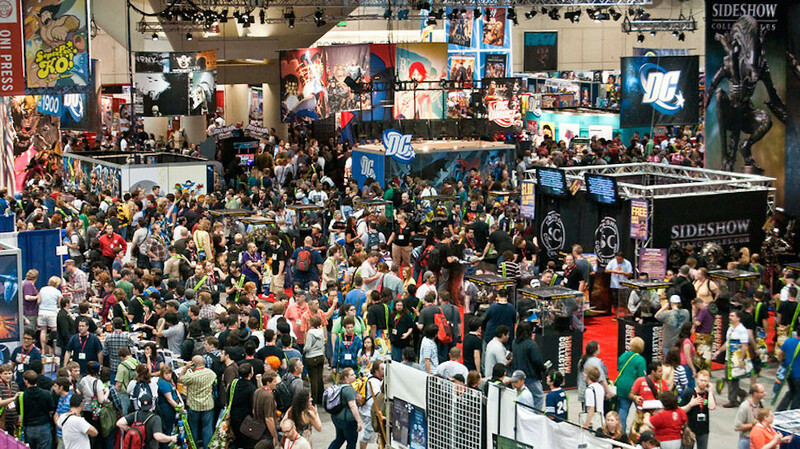 We’re already gearing up for the 2015 San Diego Comic Con and we wanted to make sure that we have some figures ready for the show, so we’re teaming up with our friends over at Action Figure Xpress (AFX)to make this happen! 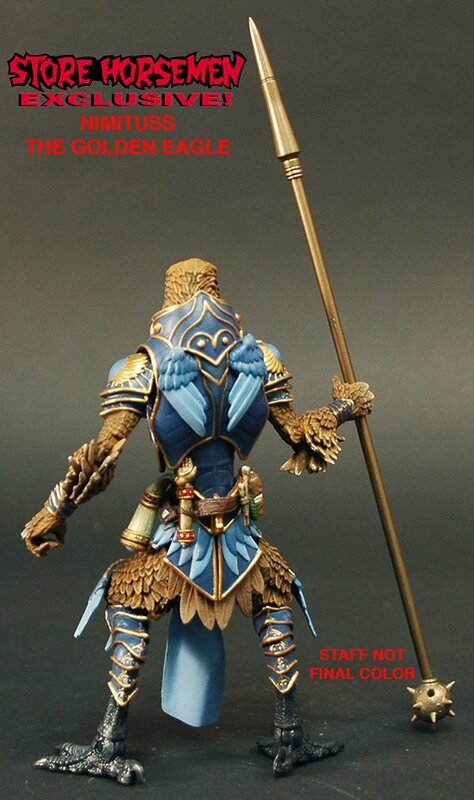 The first figure will go on sale at 3pm EST and is a Store Horsemen & 2015 SDCC shared exclusive. It’s Nimituss, the Golden Eagle. Inspired by the traditional colors of the fatigues worn by the US Navy (since we’ll be right next door to the Naval Base in San Diego), this exclusive figure will be available for pre-order through Store Horsemen for shipping/delivery only. A small amount will be reserved for the 2015 San Diego Comic Con, but you must purchase and pick those up AT the convention. Not online. We hope to have these figures in stock well enough in advance of SDCC 2015 to ship them out to customers before the convention, but if not they’ll ship out immediately thereafter. The staff shown in the attached image is not the final color of the staff. 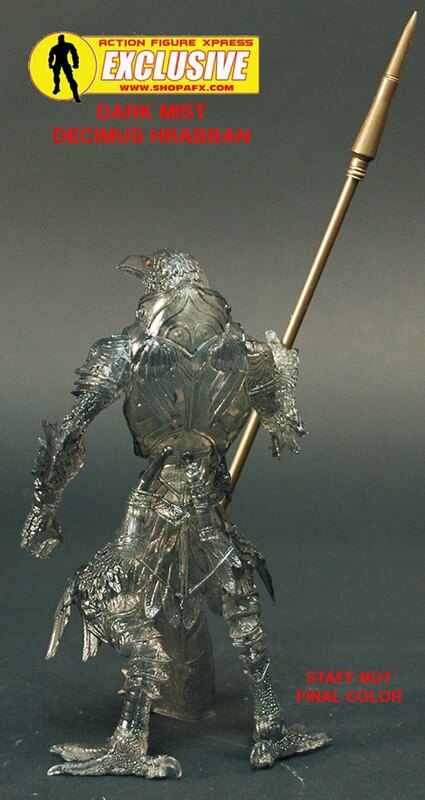 The staff for this figure will be more of a gun-metal gray. 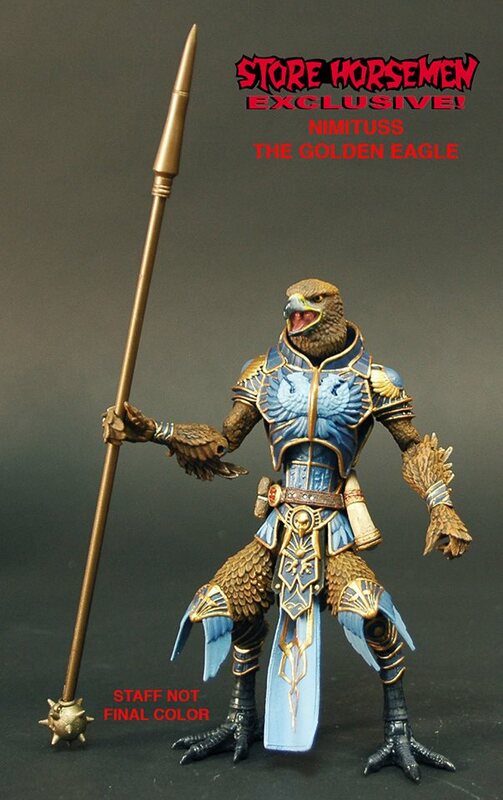 The price for Nimituss, the Golden Eagle will be $35.00 each, plus shipping & handling. The pre-order will run from Monday, April 13th at 3:00pm EST to Monday, April 20th at 3:00pm EST. No limit on amount pre-ordered. The second figure will go on sale at 3pm PST and is an Action Figure Xpress & 2015 SDCC shared exclusive. It’s Dark Mist Decimus Hrabban. Utilizing his ability to transform into a foggy, ethereal entity, Decimus can swiftly and stealthily stalk the catacombs of Gothitropolis without detection. This exclusive figure will be available for pre-order through AFX for both shipping/delivery AND for pick-up at the 2015 San Diego Comic Con. We hope to have these figures in stock well enough in advance of SDCC 2015 to ship them out to customers before the convention, but if not they’ll ship out immediately thereafter. The staff shown in the attached image is not the final color of the staff. 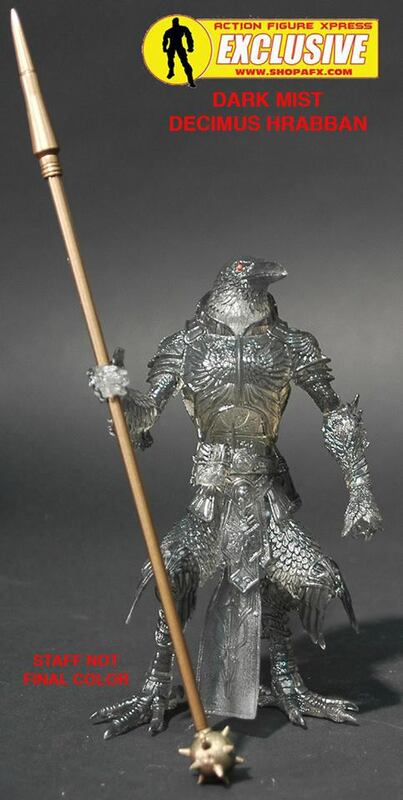 We’re hoping to be able to make this staff in a clear gray to match the Dark Mist Decimus Hrabban figure, but if that’s not possible, it’ll be a solid gray color that will be as close to matching the gray of the figure as possible. The price for Dark Mist Decimus Hrabban will be $35.00 each, (plus shipping & handling for orders to be shipped). The pre-order will run from Monday, April 13th at 3:00pm PST to Monday, April 20th at 3:00pm PST. No limit on amount pre-ordered.